Other number 39 On the side of the object. 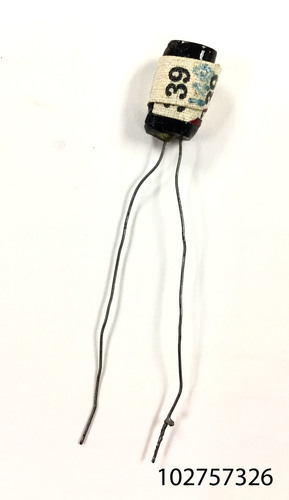 "Raytheon Unmarked Diodes (5 pieces), germanium diodes. Mid-1950s. The Raytheon diodes in this lot are likely pre-production prototypes, and are not labeled by type, but instead there is a formal printed label on each, identifying these units with a number id. This methodology suggests that these units were used in an engineering study to document performance. 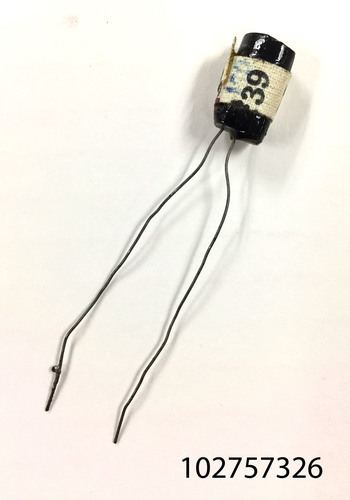 Although there are no date codes on these units, the black epoxy case material is typical of the earliest Raytheon transistors, dated from late 1952. Rare – these prototypes represent Raytheon diode case styles that never entered volume production. Only a few units like these are known to exist. "